Instructions: Click here to view a lager photo of this project. 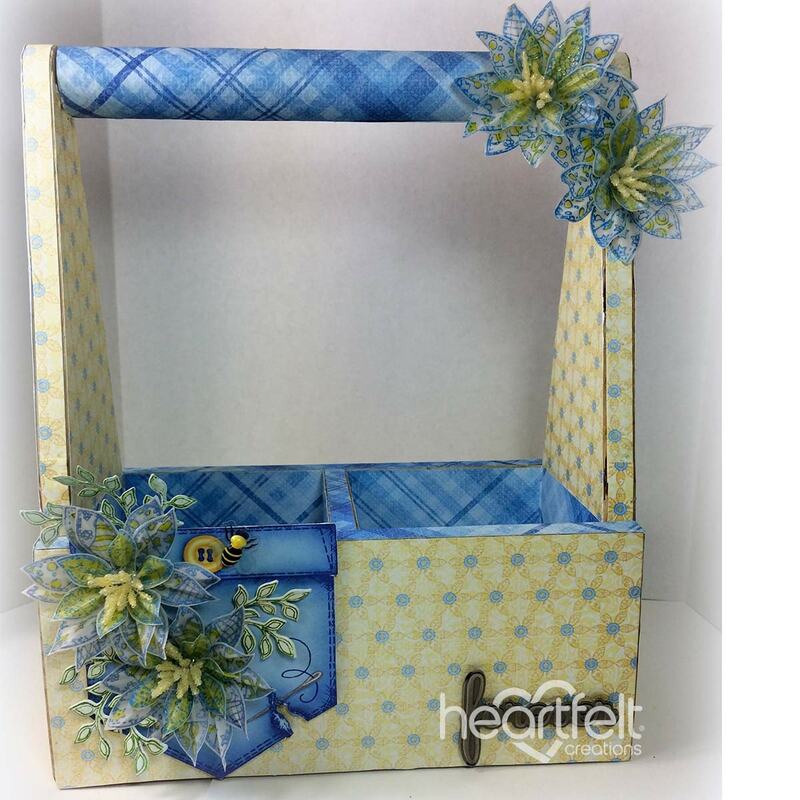 Take your patterned paper and cut to size to cover your caddy. 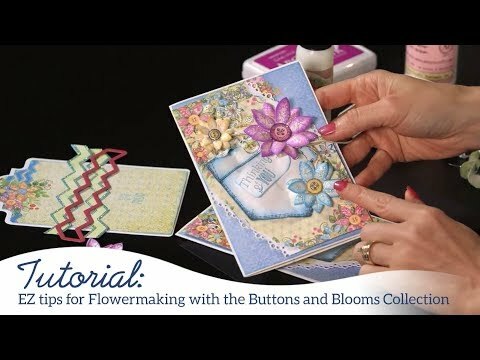 Take your buttons and blooms flowers and stamp using your oxide ink onto the vellum paper. Sprinkle each with clear embossing powder. Next heat set until the embossing powder begins to melt. Once complete, stamp and diecut a total of 4 large and 2 small blooms. Add a touch of yellow from the fabercastell pens. Take and snip a 1/4" cut between each petal which makes molding the petals easier. Now take your tweezers and twist each petal. Now layer each bloom staggers with 2 large and one medium bloom. Once done, use your piercing tool and pierce a hole through the centers and add your rock candy stamens. For the greenery stamp and diecut leaves from the Young at Heart collection. Take your fabercastell pen in green to color your stamped images. Now diecut your pocket from the patterned sheet of paper and arrange your flowers and greenery along the pocket. Adhere your metal embellishment sentiment to the front of the caddy to complete the look.